Linear Active Thermistor™ ICs are sensors whose output voltage is directly proportional to measured temperature. The MCP9701A can accurately measure temperature from -40C to +125C. 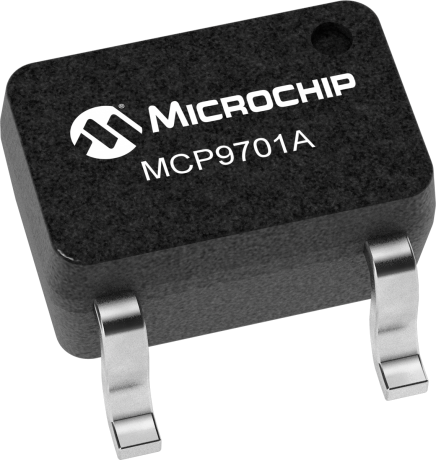 The output of the MCP9701A is calibrated to a slope of 19.53mV/°C and has a DC offset of 400mV. The offset allows reading negative temperatures without the need for a negative supply. The MCP9700A is packaged in space saving 5-pin SC-70, and 3-ld TO-92 packages.